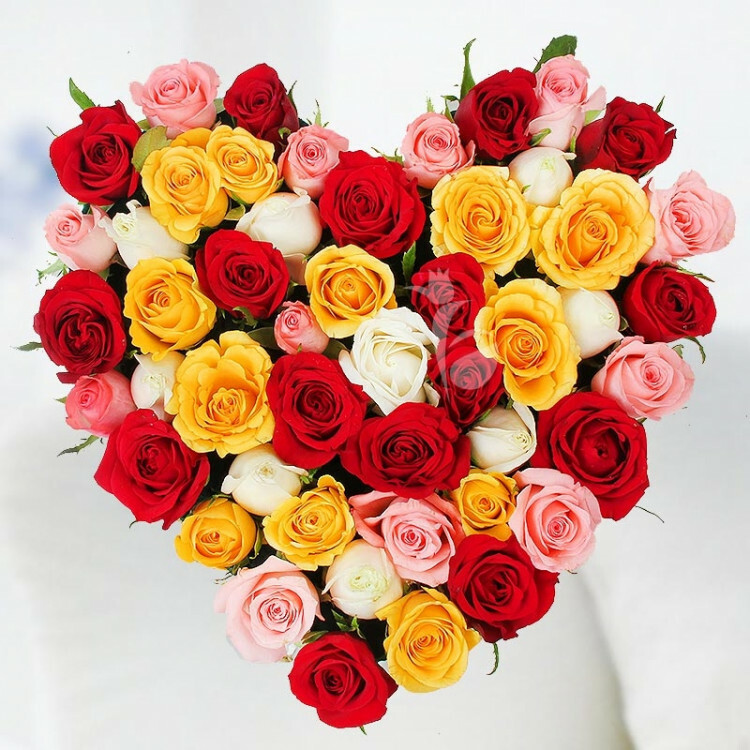 Perfectly designed for Valentine's, celebrate the season of togetherness with the beautifully arranged heart-shaped arrangement of 40 mixed roses. These mixed roses are rich in beauty, design and pure love. Spread love, order this arrangement this Valentine's now!